Need Urgent Toilet Seat Fitting in London? Let's face it – nobody likes to get their hands dirty with any toilet fitting task, especially when it involves unclogging a plumbing system. But be wary if you do decide to put your rubber gloves on – without the proper training, you can easily damage your toilet bowl or plumbing pipes, leading to unpleasant and funky-smelling complications. Instead of tossing a coin each time you need a toilet seat replacement, leave this task to the dexterous hands of Fantastic Handyman. To book your session today, simply book your handyman online in a few easy steps, give us a quick call on 020 3404 4045, or stop by our real-time chat. Once you get in touch, our outgoing advisers will happily guide you through the rest. There's much more to fitting a toilet than just duct-taping your seat to the toilet bowl. The swift and efficient specialists possess a wide range of skills and equipment to effortlessly fit or replace any type of toilet you may own. Does your toilet need an extra flush to deal with all the waste? Is it making weird or loud noises in the middle of the night? Does it have an unreliable toilet seat? No matter your emergency, Fantastic Handyman will always offer you suitable options to resolve it. However, be advised that in some instances you will need to repair or even replace your toilet to avoid costly property damage, such as a rotted floor. If your wobbly toilet seat needs fixing or if your old toilet lid simply has to go, the precise and multitrade experts will gladly lend you a hand. And if your bowl starts leaking on your brightly hued bathroom carpet, you can always count on the qualified team to safely carry out a toilet bowl replacement. When tackling toilet seat repair, toilet cover replacement, or other odd jobs, the polite and tidy specialists will pay special attention to hygiene. The team will restore your toilet's functions and appearance without leaving any unpleasant smudges, streaks, or dirty sets of gloves behind. 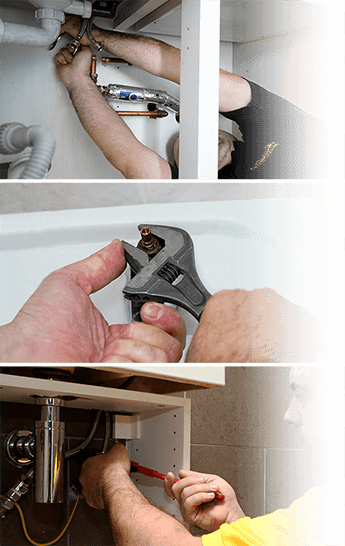 Regardless if you need lid and square toilet seat replacement or a comprehensive plumbing pipe maintenance, we want you to be visited by the finest specialists in the field. To this end, every handyman undergoes strict quality inspections on a frequent basis to ensure that your demands will be fully met. Our price rates have always been and will be based on hours worked, meaning that you will only pay for the actual job done. There’s no need to dig deep into your pockets – all our prices are final and are not affected by any hidden fees, upfront deposits, or minimum contract obligations.